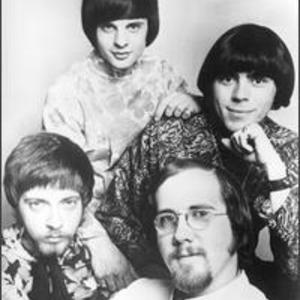 The Critters were a successful American pop group with several hits in the 1960s. The group formed in New Jersey when singer-guitarist Don Ciccone and saxophonist Bob Podstawski joined local group the Vibratones, comprising Jim Ryan (lead guitar), Ken Gorka (bass), Jack Decker (drums), and Chris Darway (keyboards). They named themselves The Critters in emulation of similar band names like The Animals. The group formed in New Jersey when singer-guitarist Don Ciccone and saxophonist Bob Podstawski joined local group the Vibratones, comprising Jim Ryan (lead guitar), Ken Gorka (bass), Jack Decker (drums), and Chris Darway (keyboards). They named themselves The Critters in emulation of similar band names like The Animals. They signed with Kapp Records, and, in 1964, picked John Sebastian's song "Younger Girl" for their first release. However, because Ciccone, Ryan and Podstawski were then all accepted at Villanova University, the record was not completed until late 1965. "Younger Girl" became a minor pop hit in early 1966, and was followed by Ciccone's song "Mr. Dieingly Sad", which reached # 17 later in the year. The group had their final chart hit with "Don't Let The Rain Fall Down On Me" in 1967. The original band split up when Podstawski, Ciccone and Decker joined the armed services, and Darway left for art college. Ryan and Gorka then attempted to maintain the group with new members for some time. Later, Ryan recorded and toured with Carly Simon before working as a studio guitarist. Ciccone joined Frankie Valli and The Four Seasons, and later toured with Tommy James and the Shondells. Gorka now owns the Bitter End in Greenwich Village. Chris Darway went on to form "Johnny's Dance Band", a popular group in the Philadelphia area in the late 1970s, followed by an extremely odd, but entertaining group known as The Chet Bolins Band.